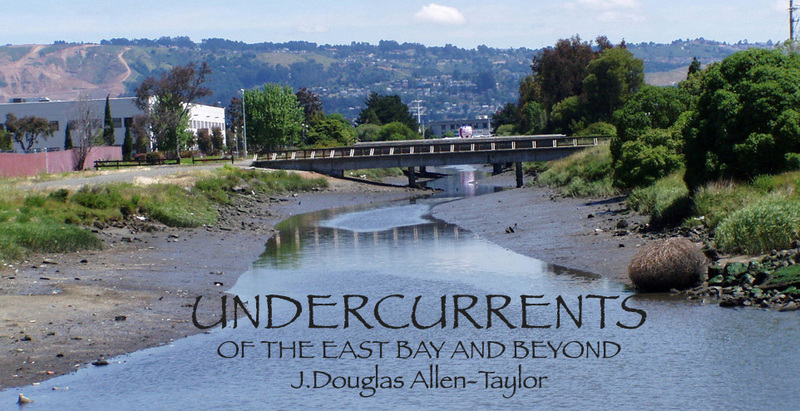 UnderCurrents—Why Is The OUSD Property Sale Proposal Still On The Table? The original Letter of Intent giving exclusive negotiating rights to developers TerraMark/UrbanAmerica expired in mid-September, but that deadline was extended by mutual agreement of the developers and the developees (the developees in this case being represented by the office of State Superintendent Jack O'Connell, even though its Oakland Unified School District property that we're talking about). What TerraMark and Mr. O'Connell have been doing since then is anybody's guess. Are they negotiating new terms? Are they passing new proposals back and forth by fax or email? Are they talking over the telephone or holding meetings in Sacramento or New York? Are they trying to peel away portions of the land sale opposition, particularly representatives of the three schools and two child development centers who will be directly effected by the proposed property sale? Or are the developers and Mr. O'Connell just sitting on the deal, waiting on a possible change in the political winds? The public—particularly the Oakland public—doesn't know. While technically it was, memories are now murky on who originally came up with the idea. Did it come from board members themselves, or did they pick up suggestions that were being floated by other source? I've asked, and no-one now seems to remember. Some of the board members certainly thought before the takeover actually took place that the sale—or lease—of the administration lands might speed up the time that local control could be returned. And trustee Dan Siegel now recalls that the land sale provision that ended up in the 2003 board resolution requesting the state bailout loan came from former Superintendent Dennis Chaconas, but only in the context of a request for a state trustee, rather than a state administrator (the difference is significant; under a trustee, the district would have retained most of its powers, including the power to sell, or not sell, its own land). And none of the board members who voted on the 2003 state loan resolution say they believed at the time that any land sale would involve property on which schools were located÷as is the case in the current TerraMark/UrbanAmerica proposal. In any event, sale of the OUSD property to pay down the state loan was not required under SB39; it was only authorized. And clearly, no matter what OUSD board members thought about that idea in those frantic days in 2003 when they were trying to stave off both bankruptcy and state takeover, board members have since changed their minds. Six of the seven sitting board members have gone on record opposing the sale of any district property until local control is restored. And even the one board member who believes that surplus administrative property should be sold to help pay down the loan—Kerry Hamill—has expressed criticisms about the way Mr. O'Connell and the folks at TerraMark/UrbanAmerican have structured the current proposed deal. In other words, whatever support among OUSD board members in 2003 for a proposed sale or lease of OUSD properties has long since vanished in the face of three years of state control of Oakland Unified and the actual terms of the TerraMark/UrbanAmerica deal. Mr. O'Connell can no longer use that former board support as his reason for the current deal. And, yet, the deal remains on the table. Why? In the absence of any details coming out of the state superintendent's office these days, we can only speculate. One theory is that while the T/U deal doesn't make financial sense for the district, it is an exit strategy for Mr. O'Connell, a way for him to leave the district without taking responsibility for the bleak financial situation that has escalated at Oakland Unified under his watch. It has been widely acknowledged—even in the state legislation that authorized the state takeover—that the school board and former Superintendent Dennis Chaconas failed to balance the district's budget only because they were given incorrect financial information. But since the state takeover the unbalanced budgets have continued, even though the Mr. O'Connell and his chosen state administrator have known that they engaging in deficit spending. That particular fact was most troubling to the Fiscal Crisis & Management Assistance Team (FCMAT), which wrote in its latest report that "an issue of great concern is the structural deficit [at Oakland Unified]· The size of the district's long-term debt has increased and the district has not remedied its previous pattern of deficit spending. Expenditures surpassed revenues in the 2004-05 and 2005-06 budget years. Although the district was still closing its books at the time of FCMAT's [recent] visit, district reports showed deficit spending of $2.9 million and an undesignated unrestricted fund balance of [a negative] $8.3 million. The drawn down of the remainder of the state loan [the $35 million former state administrator Randolph Ward borrowed in his last days before leaving the job], while perhaps necessary, will tend to inflate the district's revenues for the 2006-07 budget year with one-time funds that will not support ongoing operational expenditures." How can Mr. O'Connell possibly overcome such dismal ratings in the area of financial management of Oakland Unified, the major area that the state was supposed to come in and fix? Like the old Vietnam War era exit strategy of simply declaring victory and leaving, perhaps Mr. O'Connell is planning on saying that the TerraMark/UrbanAmerica deal—if signed—puts the district back on sound financial footing with an infusion of cash. He could then say that through the deal he solved Oakland Unified's financial problems, and could then recommend taking the first steps towards local control. It's a shaky argument, at best, but when you've failed so miserably at your assignment—as Mr. O'Connell has so far in his assignment to fix Oakland Unified's finances—you've got to grasp at any straw you can get. Another theory as to why the proposed OUSD land sale deal with TerraMark/UrbanAmerica remains on the table is that Mr. O'Connell, by himself, can't take it off. With much of Oakland united against it, the T/U deal clearly hurts Mr. O'Connell's chances of winning the Democratic gubernatorial nomination in 2010, something he has said he is interested in seeking if Mr. Schwarzenegger wins re-election next month. If Mr. O'Connell had the power to drop the deal himself, and personal political ambition was the only factor, it would seem that he would have gone to the TerraMark/UrbanAmerica folks some weeks ago and said that it's been nice, guys, but I'm going to have to cut you loose. But there are other politicians with interest in this pie, and they may be the ones who are holding Mr. O'Connell's hands to the cooking fire, even if it ends up burning the state superintendent politically. One of these politicians, obviously, is State Senator Don Perata, who reportedly has been pushing for the sale of the district administrative properties for several years, who has threatened the state takeover of Oakland Unified several times, and who put the property sale provisions into his OUSD state takeover bill. There are reports that Mr. Perata does not favor the TerraMark/UrbanAmerica deal, but with Mr. Perata and development deals, one doesn't always necessarily know, does one? And then there is outgoing Oakland Mayor Jerry Brown. Robert Gammon of the East Bay Express has said that TerraMark owners the Fisher family of New York had a longtime relationship with Mr. Brown, and that TerraMark officials came to Oakland and met with Brown in the fall of 2003, when, according to Mr. Gammon, Mr. Brown "told [the developers] about the city's then-red-hot housing market and his so-called '10K Plan' for bringing ten thousand residents to downtown." Shortly afterwards, TerraMark was deep into its proposal with the state superintendent's office to buy the Oakland Unified property. In his August 16 article about the OUSD land sale, Mr. Gammon never said that Mr. Brown and TerraMark made a deal about the Oakland Unified land, but the inference was that TerraMark met Mr. Brown's approval, and that the outgoing mayor could be the main one pushing Mr. O'Connell to keep the deal alive. Somebody is keeping the TerraMark/UrbanAmerica deal alive, in any event. But right now, Oakland has only been provided with a continuing set of questions, and not many answers.